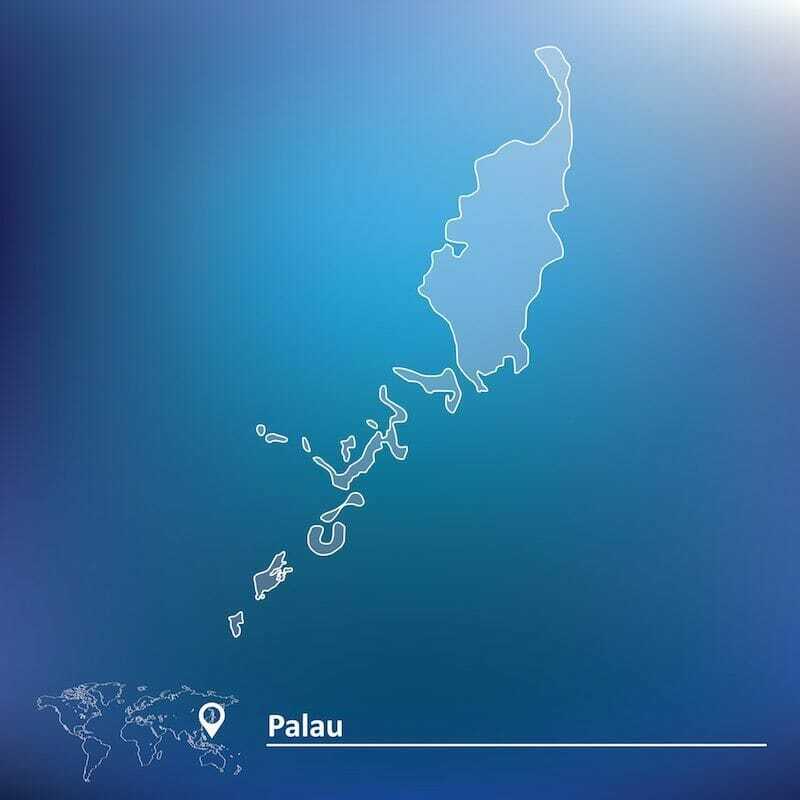 Have you wondered where Palau is located and how to get to Palau? Are you planning a Palau vacation or a diving trip but are a little intimidated by its remoteness? In this article, we will provide you with details on how to get to Palau, including detailed information about the different airlines flying to Palau departing from seven different countries. What are the entry requirements for Palau? 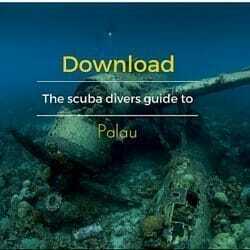 If you are planning your Palau vacation to experience the incredible diving that Palau is renowned for, you should fly to one of the five international gateways first that offer (direct) flights To Palau Roman Tmetuchl International Airport (airport code ROR). Yap is a short one hour flight to Palau. Direct service between traveling to or from Yap and Palau is on Friday nights. A one week trip to both Yap and Palau makes for a perfect two-week diving vacation, as you will get to experience two top destinations in Micronesia. We can assist in booking this flight with charter airline Caroline Islands Air. Round trip is about $700. Manila is also a short haul destination to Palau of about three hours. Like Guam, United Airlines serves Palau with four flights in and out each week. One set of flights are from Manila to Palau to Guam and return. Only on Friday and Tuesday nights, there is a direct flight from Manila to Palau. Also read: When is The Best Time to visit Palau? Manila is a heavily trafficked international destination with multiple nonstop daily flights to the major destinations in Asia and Australia. Many airlines offer daily direct flights to Manila from the United States and Europe. It is, however, tough to schedule a same-day flight due to a conflict in the arrival and departure times. Citizens of most countries can get a tourist visa when they arrive at the immigration desk after showing their outbound ticket. Because the airport is frequently overpopulated, busy, and provides poor customer service, it is best to make reservations for an overnight stay. Taiwan is a medium haul of about four hours. Services are provided by China Airlines four times a week. Conversely, Taiwan is not widely used as an international hub and has limited long-haul flights. Seoul is a medium haul of about four and a half hours. Services are provided four days a week with Asiana Airlines and Korean Airlines each flying two days a week. The Incheon Airport that serves Seoul is becoming a more attractive long-haul destination from the Middle East and Europe. Divers flying from Australia may find the longer flight to Seoul and then onto Palau as an alternative to Manila. Guam is a short haul of about an hour and fifty minutes from Palau. There are almost daily flights from Guam to Palau. Guam has daily flights to Honolulu, Hawaii, providing an excellent connection hub to New York. Guam also offers connects from London flights if you are traveling from Europe. Also, Guam provides connections to multiple destinations such as Japan, Korea, Manila, as well as Micronesian destinations such as Chuuk (Truk), Yap and Kosrae. When you get to Palau, you must have a valid passport no less than six months from the date of expiry and proof of return arrangements. A 30-day tourist visa will be issued upon arrival. US citizens are eligible for a one-year visa on arrival. 30-day Tourist Visa will be issued upon arrival; except for citizens of Bangladesh and Myanmar, who must obtain a visa in advance for entry. 90-day Tourist Visa are available for citizens of Israel. One year Visa may be obtained on arrival for Marshallese, Micronesian, and US/American Samoan citizens. Upon arrival in Palau, you can be asked to show your flight tickets with confirmed flights leaving the country. Make sure you have direct access to these documents as you do not have FREE wifi internet access at Palau International airport. When traveling to Palau, you will arrive at Palau International Airport. The Roman Tmetuchl International Airport is Palau’s only airport. The Palau airport code is ROR; you can use the Palau airport code when searching for your flights to Palau online. The Palau International Airport can be found just outside the town of Airai, located on the southern coast of Babeldaob island. Babeldaob Island contains the capital, Ngerulmud, and is the second most populated island in Palau behind Koror Island. These two islands are connected by a bridge, making it easy to travel between the two. Approximately 25,000 people are living in Palau, although some say that it is fewer than 20,000. Tourist arrivals are around 150,000 which are not enough to create a large market in the airline industry. Therefore the Palau International Airport does not offer daily services. When making your travel plans and planning your vacation in Palau double-check departure times and dates of “connecting” flights. Automatic booking systems often show the route you can take from your home airport to the Palau International Airport. However, they can also cause trouble, in that they might not consider flights that have layovers, which in many cases is unavoidable. The seven commercial gateways mentioned are all long-haul destinations that span the world. Flight plans change, so please do not hesitate to contact us if you have any questions on how to get to Palau or need any help or advice when planning your Palau vacation. We hear this over and over again, but who does do this? Three hours before flight departure is a perfect time to arrive at the airport. When you get through check-in, customs, security and immigration quickly, you have enough time for a meal and to prepare yourself for the flight ahead of a meal and to prepare yourself for the trip to Palau ahead. It seems like each time you get on a flight it is either too hot or too cold. You used to be able to count on the airlines having blankets on each flight, but this is no longer the case. Wear long pants, dark clothes and bring a sweater along to make your trip much more comfortable. Airline employees can make use of “crew” lines for immigration. But, even they have a better option, that is available to all U.S. citizens or permanent residents, “Global Entry.” I know of several airline employees that have this because this is even better than a crew “line.” Have you ever seen a “line” at the “Global Entry” kiosk? All you have to do is run your passport through the kiosk, and you are on your way to customs. Must be a U.S. citizen for this. TSA Pre-Check is similar and can help you get through airport security quicker, and you can even leave your shoes on! When you are standing in line waiting there is nothing more frustrating than seeing those who have done some planning whiz through these lines. Just imagine almost eliminating security and immigration lines! Check your airline’s baggage rules before packing. Baggage fees add up quickly and are expensive. Palau has a relaxed and casual atmosphere. Resorts always allow shorts for men and women. Long pants are excess baggage! We work with DiveAssure for different types of affordable dive insurances. Click here for details about them, or you can contact us, and we will help you with it. One idea is to buy a single-use pass for the airline’s premier passenger club. This will give one access to beverages, snacks, internet, and showers. Also, there are numerous airline representatives in these clubs to assist travelers. While a Palau vacation takes a little extra planning, it is not that difficult. You will just need to consider which of the gateway cities best to travel to according to reach-ability and accessibility and to take the flight schedules into account to start your vacation in Palau as relaxed as possible so that you are fresh and ready to experience all the great things Palau has to offer. If you need any advice of help planning your Palau vacation, please do not hesitate to contact our US reservations team directly via e-mail.